Several icons in Ukraine have begun giving myrrh since last months of the last year. Moscow, June 26, Interfax – Several icons in Ukraine have begun giving myrrh since last months of the last year. Four icons are myrrh-streaming in the Church of Sts Vera, Nadezhda, Lubov and their Mother Sophia in Dnepropetrovsk. The icon of St. John the Baptist was the first to start “crying” – it happened on October 14, the Feast of the Protecting Veil of the Mother of God, the Argumenty i Fakty weekly reported. In January, the Manyavskaya Icon of the Mother of God began myrrh-streaming in the Manyavsky Hermitage, the Ivano-Frankovsk Region. “First time, the icon gave myrrh in 2008, before a terrific flood in the Western Ukraine. Then the icon “cried” in March 2012, it was a flood again, but it wasn’t so disastrous. Finally, the Holy Virgin started crying in January 2014. We understood that the Mother of God warns us against something,” tells Hegumen Paisy(Kukharchuk) from the Hermitage. 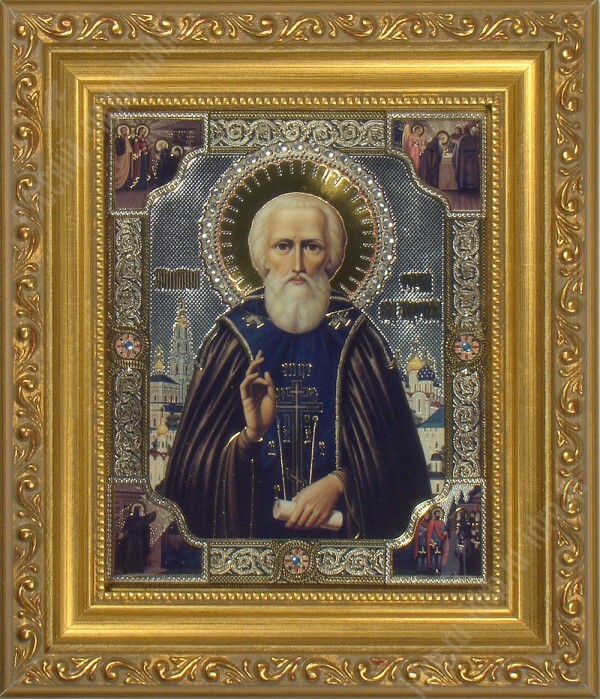 Late in April, the icon of St. Sergy of Radonezh began myrrh-streaming in the town of Smela, the Cherkassk Region. On the eve of the Epiphany icons started giving myrrh at home of a Genichesk resident, the Kherson Region. The same case took place on the Easter eve in a prayer tent on the Maidan in Kiev.